We note with regret the death of Professor Ananda Guruge in California on 6 August at the age of 85. 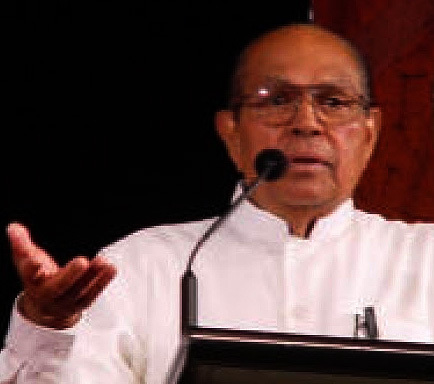 He pursued a distinguished career both as a Sri Lankan Government Minister and then diplomat, and as a Buddhist scholar, authoring 53 books in Sinhala and English as well as approaching 200 articles on historical and religious subjects. Although a practising Theravadin, he was ecumenical in approach and happy to co-operate with Buddhists of all schools. In Britain he was the keynote speaker at the 2600 Sambuddhajayanthi in 2011 and was also due to speak at the London Buddhist Vihara celebration of Founders Day this September. May he be as much a champion of the good in his next life as he was tirelessly so in this.